"Our family has had the pleasure of almost five (!)  continuous years of attending "the little yellow school." We fiercely believe in the heart of the school and the mission of the school. Play is pivotal for this age. Socialization is pivotal. Being in an environment where kids can learn that sometimes things are hard, but you don't give up, is pivotal. And learning to use proper words to admit when you might need help is pivotal - and that help can come from a friend. On friendship: My sons have made some of their best buddies while running around in the dirt, swinging in the trees, and huddled around pint sized tables with puzzles and toys. Turns out the parents of those buddies have also become great buddies of mine - it's contagious, I suppose! Marilyn: you won't remember this but when Landon was giving us a run for our money (and you all, too! ), I was feeling sad - and it must have shown on my face. I was standing by the counter at pick up one day and you gave me a hug. A wonderful hug that I didn't know I needed and it just stands out in my mind so very much. It has been soul lifting to watch Landon blossom in such a short span of years and I know this school was a part of that. Jody: the face I can always count on for steadiness and a smile and a laugh. I'm sure some days are exhausting and it seems like a full moon has taken over all the students, but I would never know it whenever 1 see you. You're calm, you're funny, you've seen it all I appreciate all the smiles we've shared in the short chaos of drop off and pick up. The photos you capture are wonderful and give all us parents the warm and fuzzies. Thank you! Birute: I so loved that Little Sparrows room and watching the little ones navigate in their first preschool adventures. You are a huge part of that. You're calming, soft voice and monumental patience is so very admirable and essential for the children. Thank you for being so very patient with my sons, sincerely. It is a true gift! Carley: Don't underestimate the impact you've had in a short time. I can see those kids adore you. Like, kind of adore. Thank you for your smiles and positive energy... and not questioning the fact that my son prefers to say goodbye while hanging upside down and giving me "sloth hugs." So! Thank you TTGG for all the years of muddy boots, construction paper covered in yarn, glue, buttons and tiny handprints, for the pebbles in the pants' pockets, for the books at lunchtime, for playdough under the nails, for the support and for always making sure my kids "eat their healthy stuff first." "My son Bo Schmidt attended your preschool about 5 years ago. I just wanted to say hello and express my thanks. I don't know if I ever expressed my feelings to you regarding Bo's wonderful preschool experience. Not sure if you knew how highly our family felt about you as a teacher and how you interacted with Bo, which was AMAZING!!! I will never forget the time that I was desperately trying to get Bo to stop saying a bad word. Bo was about 4 years old and somehow he picked up the the word "stupid." I was desperately trying to get him to stop using it in numerous attempts. Then after I was exhausted from my failed attempts, I talked with you one morning. You said, "just tell Bo that we don't say that word in our family." Later that week, out came the word from Bo and I replied with, "we don't say that word in our family" and boom, worked. No problem. You had a way with him that clicked and I'll never forget the foundation that you provided for Bo. That was just one example. You are the teacher in his life that we will always revert back to with very fond memory---and as a mother, true amazement!! Thank you for being an extraordinary teacher!!" 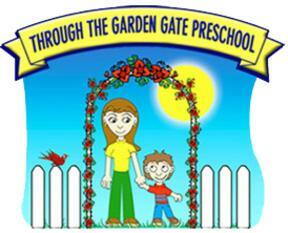 “Our son John is currently 5 years old and is finishing up his preschool journey at Through The Garden Gate. He will graduate from TTGG this Spring. He began his time at TTGG last school year when he was 3.5 years old. He has attended TTGG for a total of two school years. John is our third son. His two older brothers attended TTGG as well. We knew we wanted the same preschool experience for John that our older boys had at TTGG. We feel very fortunate that all three of our boys attended this school. TTGG is a unique preschool environment. When you walk into the school and meet the teachers, you and your child will feel very special. The school atmosphere is warm and inviting. The classroom has many different types of activities that are set up and created for the students. There are so many opportunities within the school for the students to learn and grow socially and cognitively. The outside yard is such a great asset to the school and to it’s students. The teachers utilize the outside yard for play, social skills, and academic skills. Overall, the compassion and respect that is given to a child at this school is amazing and we couldn’t have asked for a better preschool experience for all three of our boys. “Both of my daughters attended Through the Garden Gate for two full years. With them being two years apart, we had the privilege to be a part of the TTGG family for a total of four years. I am so happy with the experience we’ve had there. When it came time to find a preschool for my oldest daughter, TTGG stood out to me after the very first inquiry phone call to Marilyn. Her program is child-driven emphasizing social skills, problem solving, and communication. My daughter was extremely shy, and, looking ahead, we were initially very concerned about her social readiness for kindergarten. After two years, our concerns were completely gone; she had built up her confidence and had a wonderful circle of friends and tools to communicate effectively with them. When it came time for our second daughter to attend preschool, we didn’t even consider taking her anywhere else. Like her sister, she has had a wonderful two years at TTGG, has a nice circle of friends, and is completely ready for kindergarten. "Our daughter age 4 did the Red Robins and Eagles program for one year. We will be putting our son in the school too! We chose TTGG because I liked how many outdoor/indoor activities there are. They even let them climb trees to a certain point marked with tape (what child doesn't love doing that)! One of my favorite things to observe at this school is that the teachers encourage the older kids to help the younger kids. “When we arrived in Anacortes I was looking for a Pre-school that would nurture my daughter, allow her to be a happy fun filled child and still get the academic preparation she needed to be eventually ready for Kindergarten. We found all of that and more with Marilyn and Jody at TTGG. Lilianna, quickly began thriving in her new pre-school. The interaction with the teachers and her friends, the extension of the classroom into the gorgeous grounds with its organic garden and vast number of mature trees all there to be climbed and explored, was a place that she very quickly came to love. She went from only having a very limited use of speech when she first joined, to a vast vocabulary that she'd use every day to tell me what she had been doing that day. As parents we were so pleased with the way the children are encouraged to problem solve, communicate, and care for each other. When our second daughter, Georgiana was old enough we were excited for her to attend too and more importantly so was she! At TTGG my daughters didn't just learn ABC's and 123's, they got to sing, read stories, be outside and climb, play, imagine, plant seeds and blow bubbles, or just hang upside down from the climbing dome. They learned to care for their classmates and to have empathy for their friends feelings and needs. They learned to express their own needs and frustrations in a way that empowered them and gave them social skills and the confidence to hold their own. I have gratitude for which there are not words, so I will simply say "Thank you." “My daughter Peyton is 5 ½ years old and starting Kindergarten in the fall. She has attended Through the Garden Gate Preschool for the last 3 ½ years. I first chose Through the Garden Gate because of word of mouth. Being a first time mom you rely heavily on peers to point you in the right direction when it comes to activities, doctors, schools, etc. I spoke to quite a few moms and they all recommended Through the Garden Gate Preschool. What I liked was that even though academics are being taught, the kids are still allowed to be kids. They incorporate play into the learning and there is outside time every day, which is not something you find in all schools these days. I also love how the kids are taught emotional resilience with a great understanding on how to process their feelings/emotions and express them in a positive way. "Four years ago my husband and I began searching for a preschool for our two year old son Chase. We started by asking other parents in the community for suggestions, and as a result of the astounding positive praises, we found ourselves at Through the Garden Gate. Walking through the doors of TTGG you can feel synergy, joy and warmth. We knew our son would receive the best care and education available at an early age. First as a Little Sparrow and then as Red Robin it is evident that TTGG ensures preparation for both social and academic success both now and in the future. We were very excited when our second son Luke started the Little Sparrows class. It is such a joy to see him taking the same steps as his older brother in a school in which the teachers instill confidence in their students through the power of learning. We are blessed to have found a second home in TTGG and are grateful that our children are on the track to excel upon entering elementary school." "Enrolling my son in Through the Garden Gate was one of the best decisions we made for his growth and love of learning! Our son started in Little Sparrows and moved up to Red Robins and finally Eagles. The teachers are amazing and knowledgeable. The fact that most of the teachers have been there many years says a lot. It says they love their job and are well taken care of. In turn our children are given exceptional care and love. The curriculum taught in this school goes far and beyond our expectations. We were constantly amazed at the information and facts our son would come home with on a daily basis. He was also given many opportunities to be challenged when needed. This is not a cookie cutter type of curriculum. Each child is free to experience things through play and exploration. Art work, when the child chooses to participate, is given a theme but the child is free to create their own creation. Songs are adapted to themes and educational. We feel our son is beyond ready to start kindergarten. Being in a military family we have experienced many stressors with deployment and separation. The teachers comforted our son and helped him through his challenging days. They helped brainstorm and support different methods to help him as well. In addition, I was supported and comforted when it was needed. I would recommend this preschool to anyone; they became part of our family!" "When I was looking for a preschool for my son I was searching for what I believe most parents are seeking, a safe and nurturing environment where my child could play, and laugh and learn. Through the Garden Gate has been just that for my son. My son first started attending Through the Garden Gate at the age of three. Until he began going to preschool he was at home with me. The teachers helped ease him through his separation anxiety (as well as my own) and now he knows that preschool is a safe place to be. We put away his lunch, wash his hands, have our kiss and hug and we wave goodbye. My son is now five and still at Through the Garden Gate, he is attending the Eagles classes as well as the regular preschool program in preparation for kindergarten. I find my son’s advancements in reading writing and math skills amazing. By far the most dramatic advancement I have seen is in his social skills, he is no longer the child watching from the sidelines. I feel completely assured that my son will be kindergarten ready and he will have gotten there at his own pace, all the while having fun." I wanted to take a minute to write a quick note to tell you how much I really appreciate the care and attention that you’ve given Sydney over the years. As you know, Sydney has been attending T.T.G.G. school since she was two and a half years old. Teacher B is a fantastic, patient and caring teacher, as with yourself and the other teachers that you have hired. I appreciate your ability to create an environment that is stimulating to the varying ages that attend your school. From shaving cream and paint to the monthly themes it is a fantastic, learning and caring environment that would engage any little one. I would recommend T.T.G.G. to any parent as wonderful place for young minds to grow, learn and experience a lot of things that help their development. Thank you so much for the years you have nurtured our boys at Through the Garden Gate. The joy that you and your staff showed in working with the kids really set your preschool apart from others. I know Alex is well prepared. He is already ahead of the curve and ready for Kindergarten. He has grown in confidence which I believe is a direct result of your encouragement and teaching. I can't thank you enough. Sincerely, "